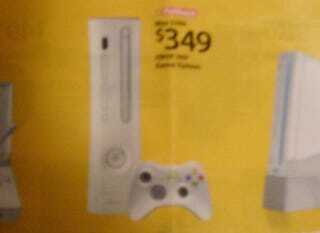 Walmart Ad Has Xbox 360 Price Drop Coming August 8th? Without seeing the alleged Walmart ad with my own eyes, this is still in BIG RUMOR form. But according to a very small picture (bigger version after the jump) that has been floating around online, the Xbox 360 Premium may be dropping $50 to $350. UPDATE: More unconfirmed intel informs us that the drop is for August 8th ad. That lines up with rumors we heard before.